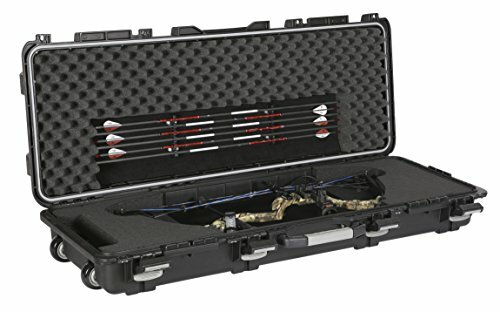 Hard bow case with pluck foam interior to allow customization for most compound bows. Military Spec case features a heavy-duty Dri-Loc gasket to keep out the elements and inline wheels for easy transport. Also offers storage for small accessories and arrows. Interior Dimensions: 44"x15"x6.38", Fit Dimensions: 39.87"x13.5. Extremely durable case with heavy duty clasp to protect your bow.